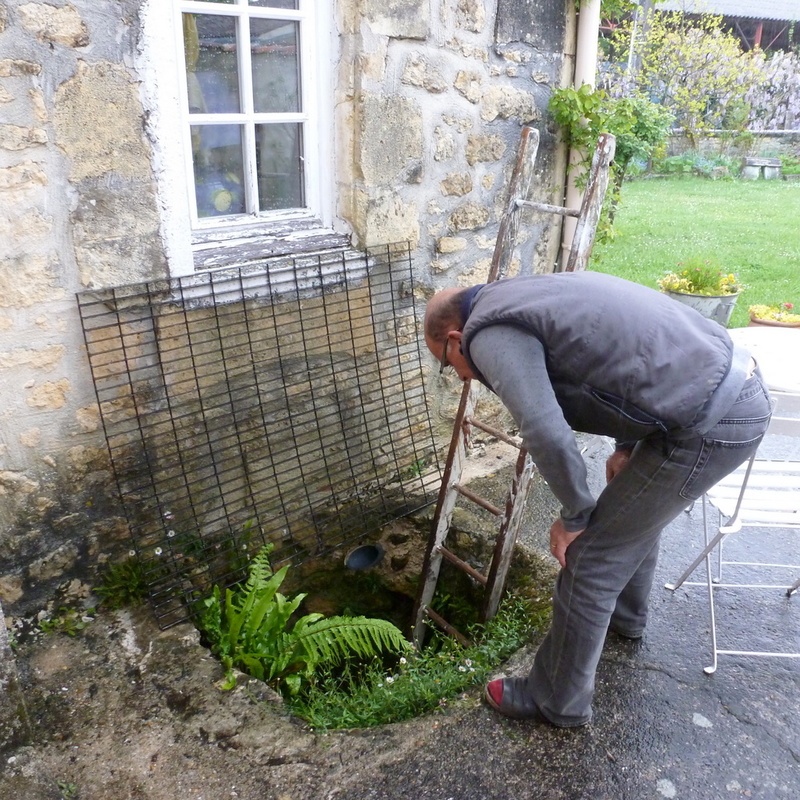 Our hose drips where it is attached to the outside tap and the corner stays damp so that underneath it was very overgrown and needed a good spring weeding. 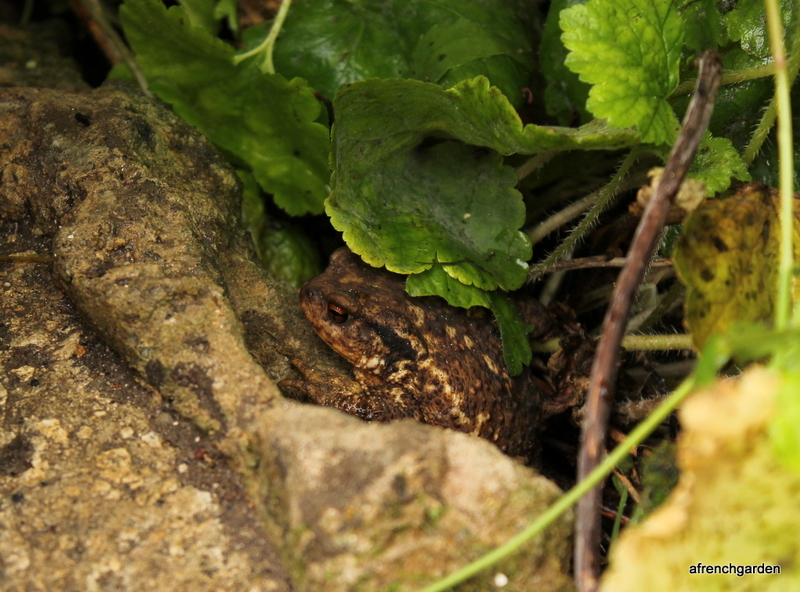 However, more than the plants had appreciated the dampness and a large common toad (Bufo bufo) had made the corner his home and even constructed a comfortable tunnel under a large stone. 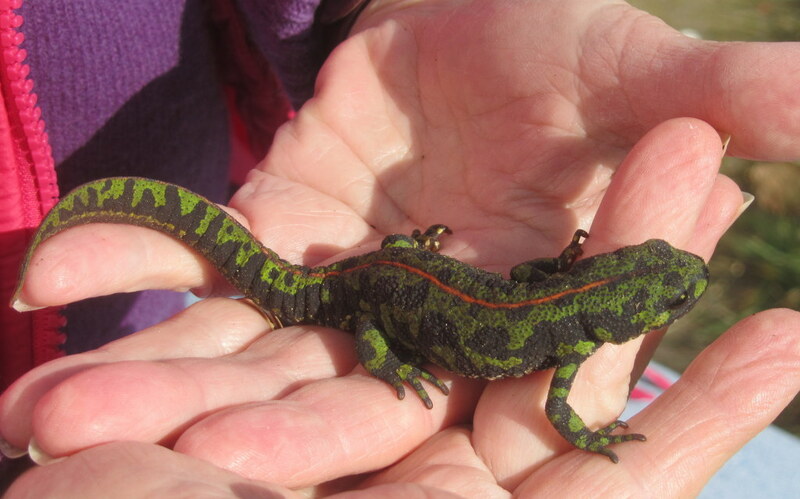 He did not object to being handled and posed peacefully for a close-up shot. It makes me wonder how often he has done this for us. 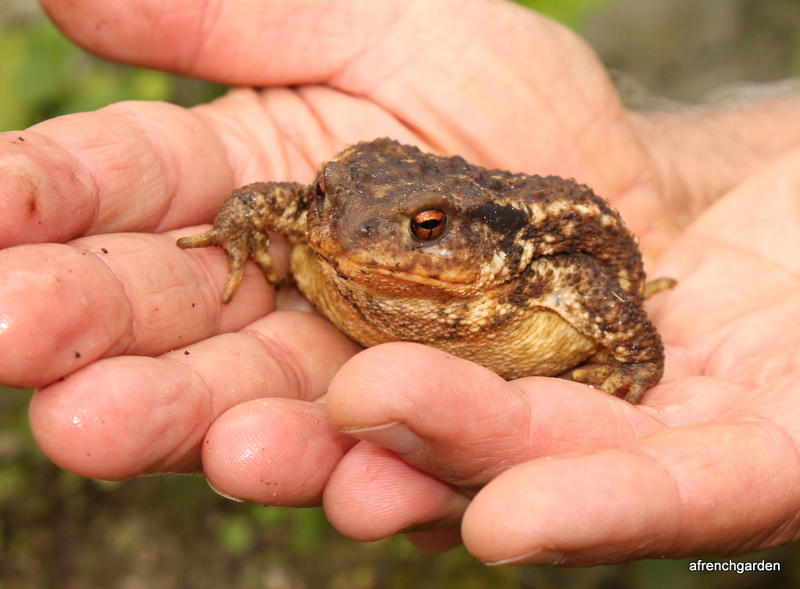 My husband likes the toads and I think they are now trained to come to hand when he discovers one. 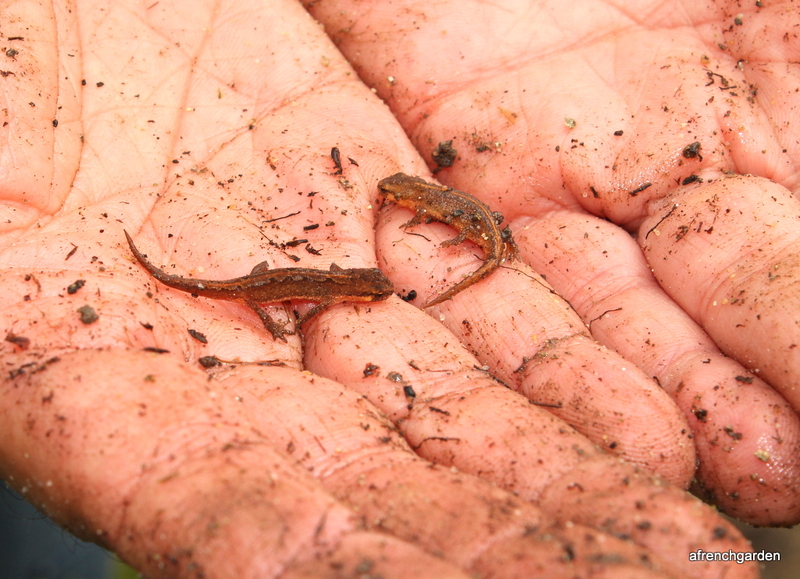 Beside the toad was a marbled newt ( Triturus marmoratus) who was also enjoying the damp spot. 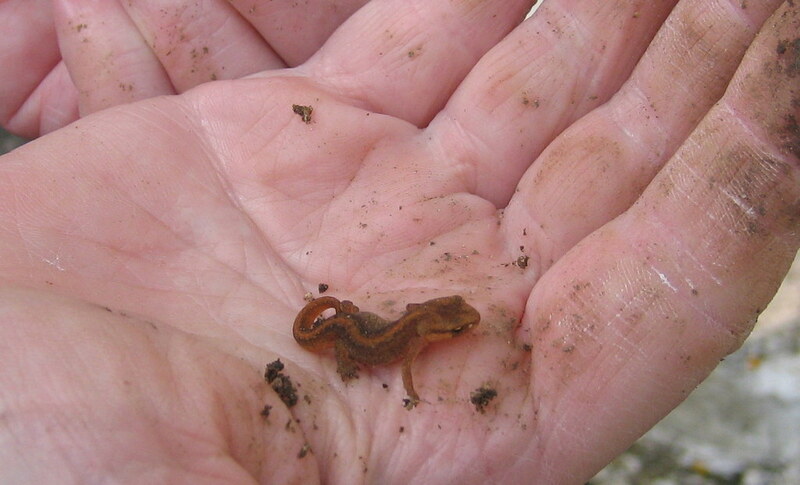 We often see the newts in the garden or in the old well. 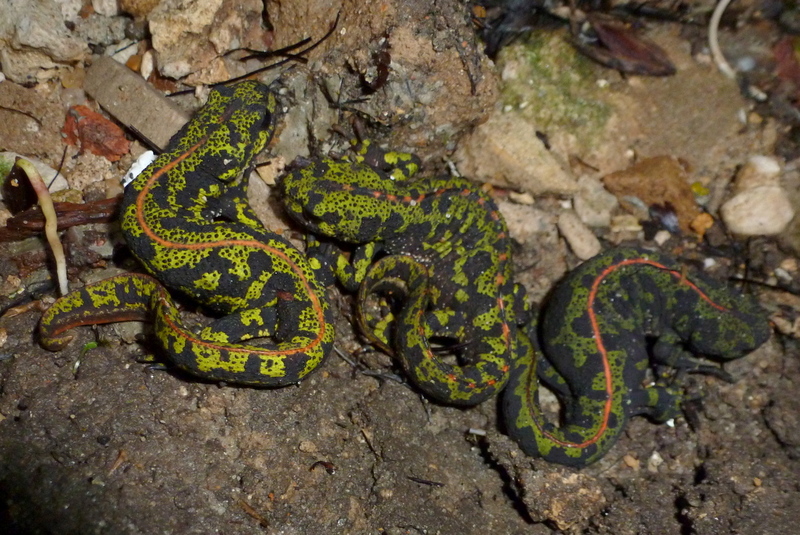 Next to appear were much younger newts and for the first time I saw one (the one on the left) that still had its crest. 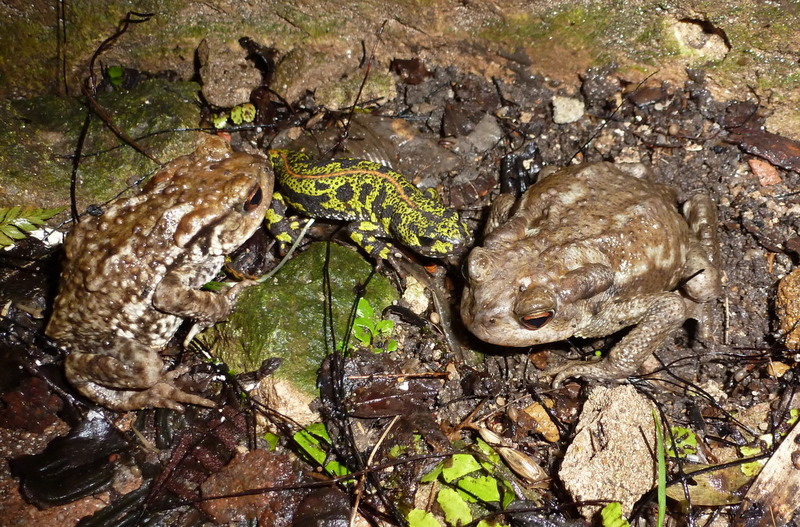 The males have a crest during the aquatic stage but this will gradually disappear as they proceed into the terrestrial stage and begin to become more coloured. The other day I needed a stepping stone to use to get through the border to my bee hotel so I looked for a suitable one at the bottom of the garden. When the stone was lifted there were two young snakes curled up together underneath it but they soon made off. 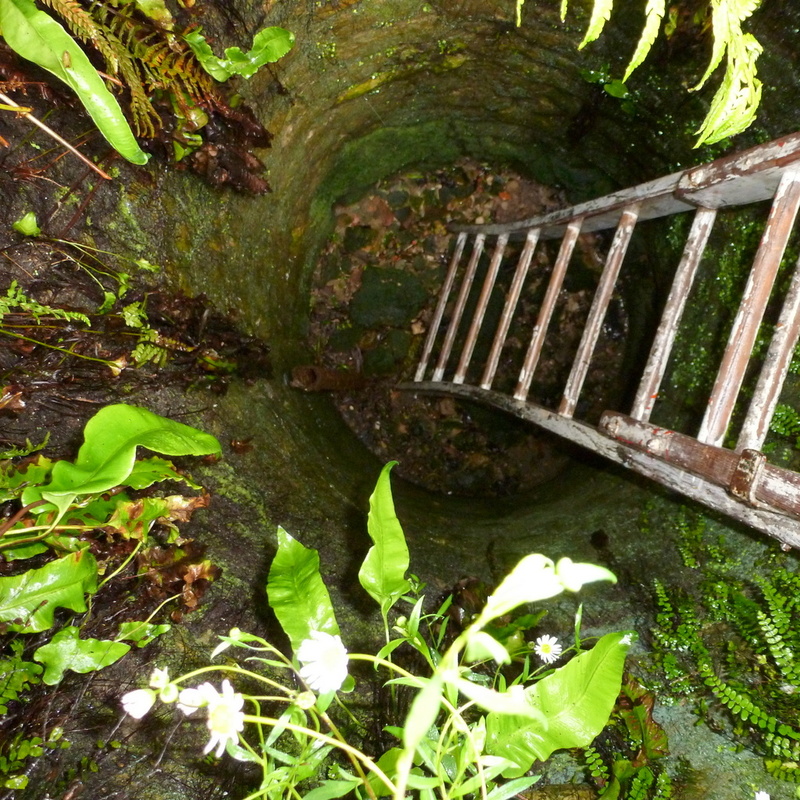 The above photograph is a set-up. The stone was replaced and lifted again the next day but this time only one of the snakes was underneath it. 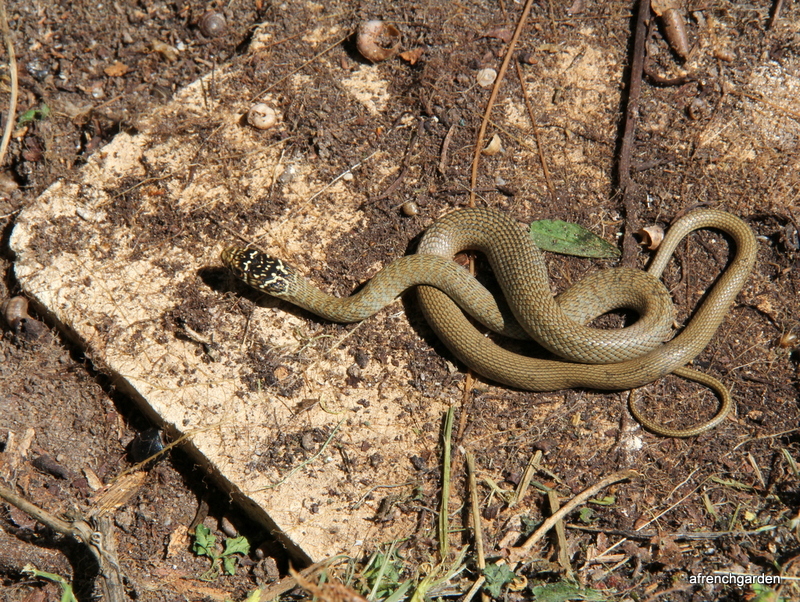 The snake is a juvenile Western whip snake, (Hierophis viridiflavus), they are quite common around here but are non-venomous and not aggressive. 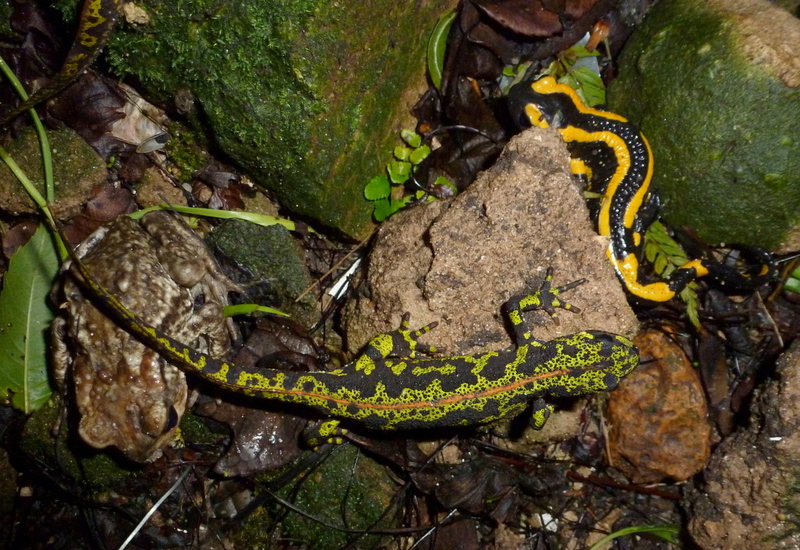 We have lots of wall lizards and these provide an easy food source for the snakes. 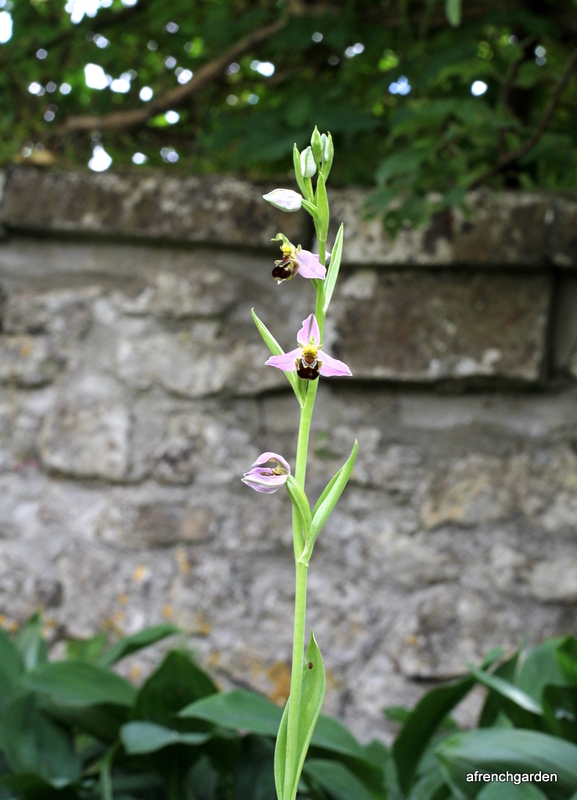 My bee orchid is still doing well and I was quite excited when I thought another orchid might be growing in the garden. 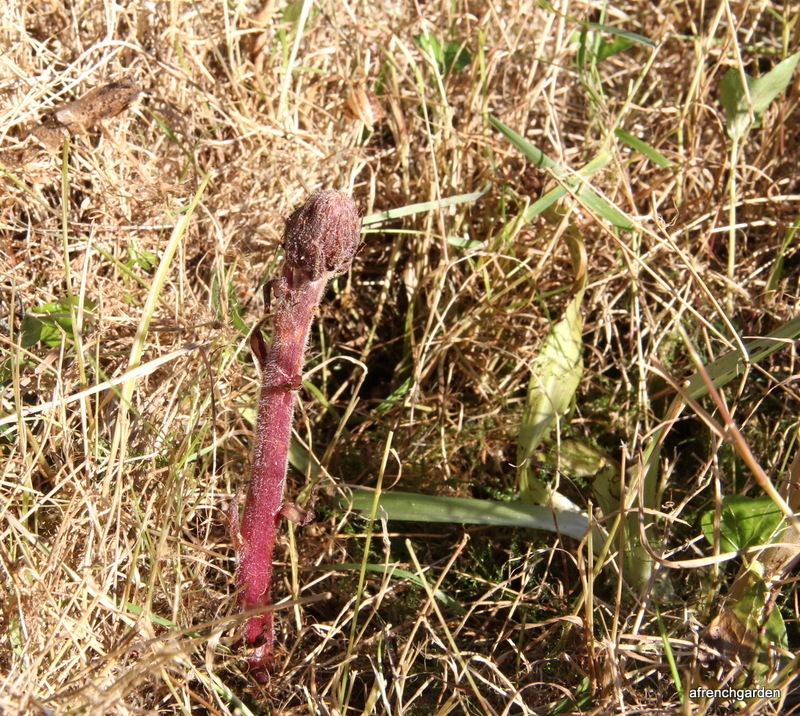 First a shoot like an asparagus appeared. Then the bud started to open. I thought the flowerlets looked like orchids. Wrong! There are similarities but there is no central single lip which is a common feature of orchids. 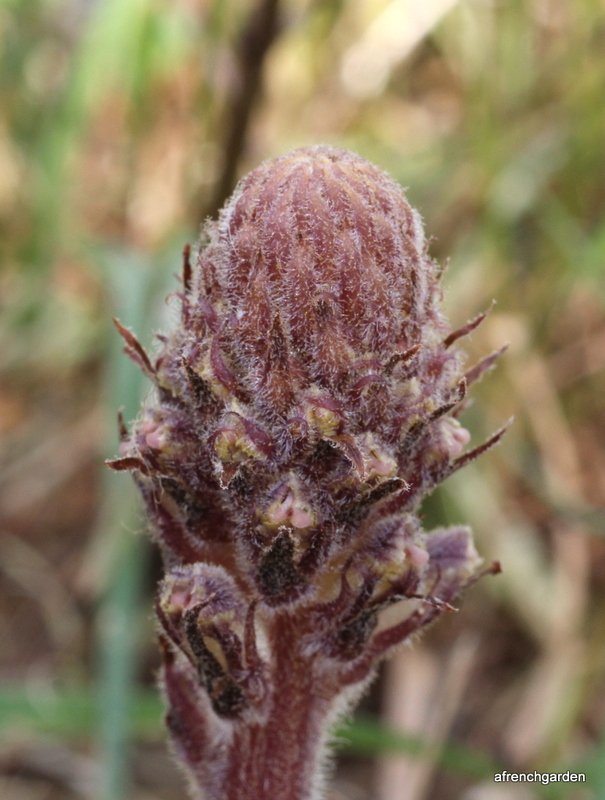 This is a new plant to me – it is an Orobanche amythystea. These are not orchids but plants that do not produce chlorophyll and obtain their nutrition by parasitising other plants. 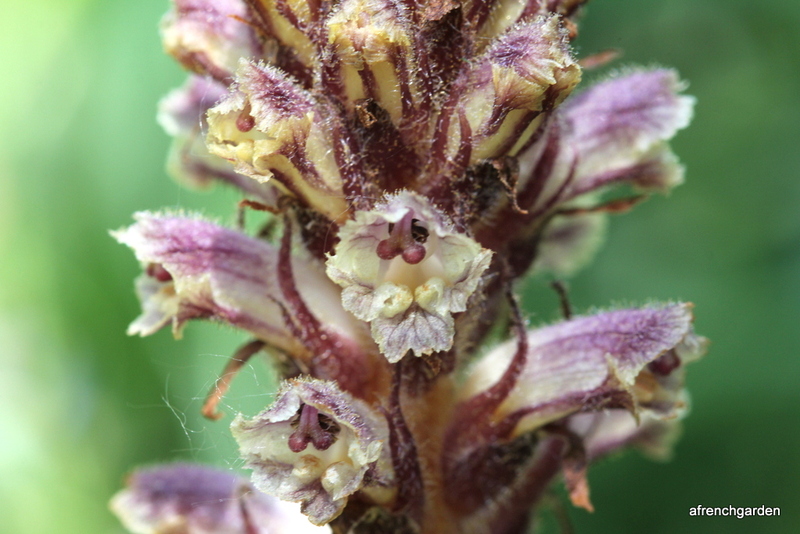 Orobanche amythystea can use various plants as a substrate including wild carrot, sea holly and ivy. 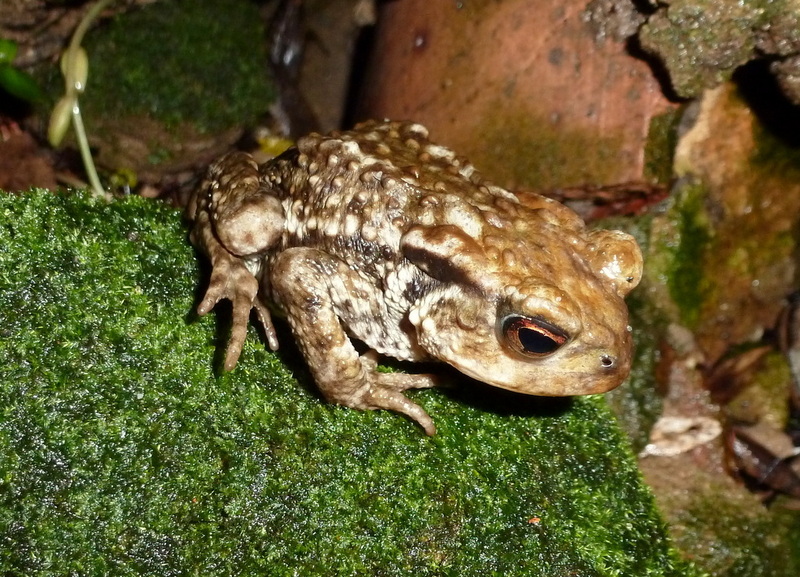 I do hope mine is a parasite of my ivy! I cannot see where the roots of the Orobache are reaching under the soil but I’d like to think it is joining me in my never ending battle with invading ivy. The flowers will eventually form seeds but these seeds will be unable to germinate unless they find themselves near roots of their host. 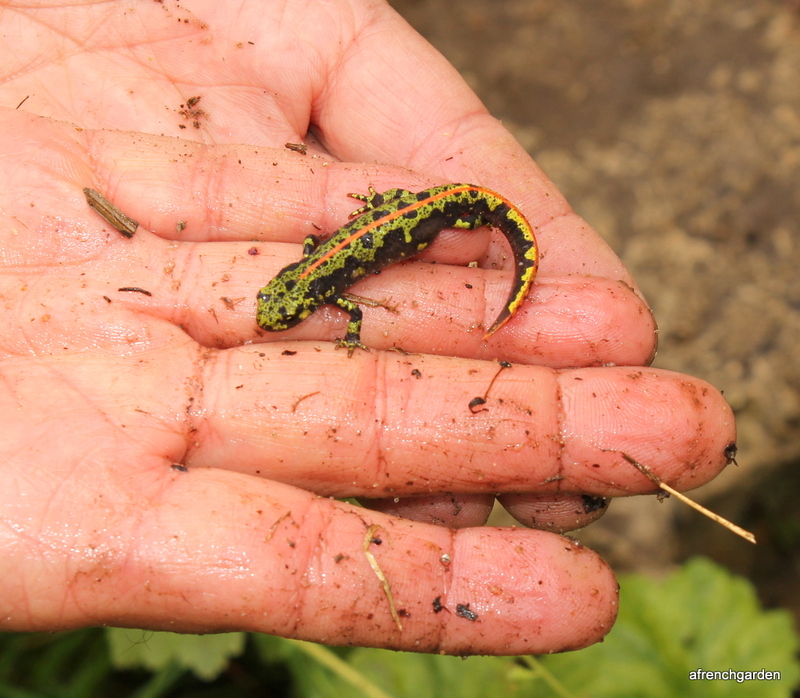 There are many different species and they can become problematic if the host plant is an arable crop. 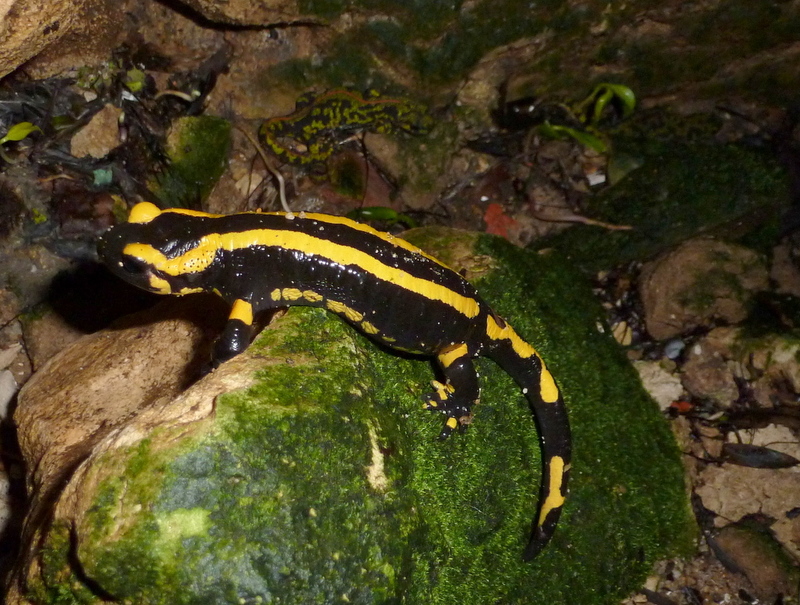 In France some of the other species can infect tobacco and legumes. 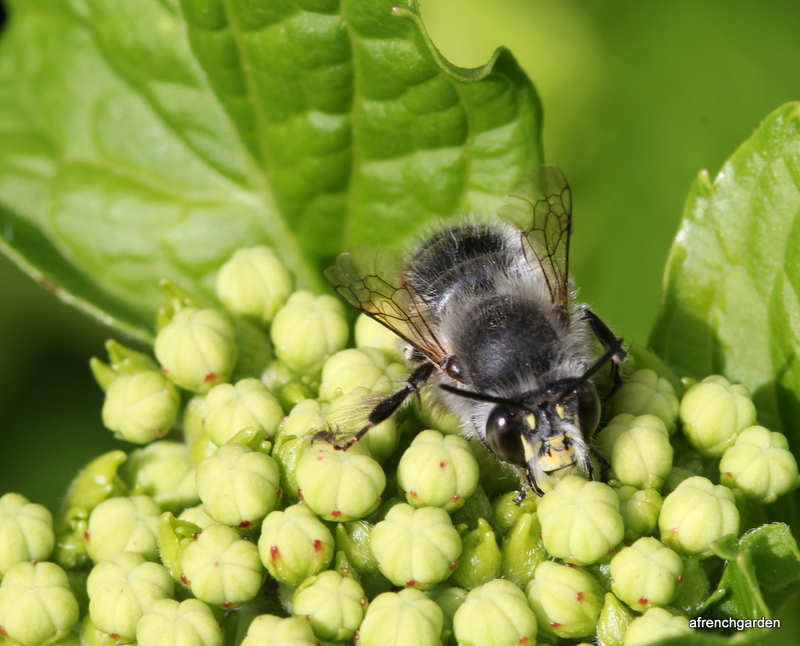 Yesterday morning, just after 10 o’clock my husband called me to see the bee he had spotted asleep on a Hydrangea bud. It was an Anthophora plumipes male. They are extremely fast moving bees so it was fun to snap some shots of him while he was fast asleep and motionless. Flowers and trees make up the backbone of a garden but it is all the unplanned arrivals, plant and animal, that make gardens so special. 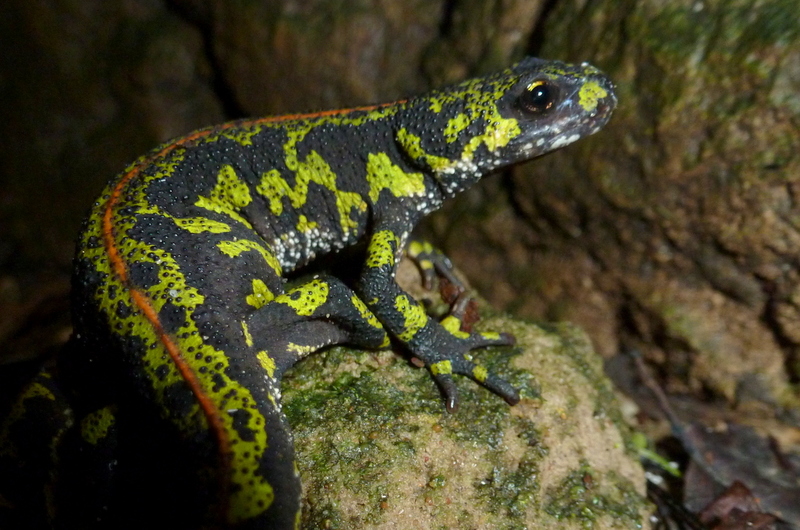 Categories: Garden | Tags: garden, gardening, Hierophis viridiflavus, marbled newt, nature, toad, wildlife | Permalink.